The Point After will take a look at the current state of the top collegiate football programs across the country over the next several months. I will use Sports Illustrated’s way-too-early top 25 as my guide as to which teams to analyze. I will then shift to the most compelling teams outside of the rankings. As always, feel free to comment and let me know what you think. Ohio State won the 2014-2015 National Championship with Cardale Jones at the helm. If you have read my previous post in regard to Jones, you already know that I felt he would have been smart to enter the NFL Draft this year. Jones will be in a heated quarterback competition with J.T. Barrett and Braxton Miller. I think that Miller will likely find himself at another position at the conclusion of this battle. Miller should look to follow in Denard Robinson’s path and attempt to play running back in the NFL. Miller is rumored to be Buckeyes fastest offensive player and could add muscle to his frame over the offseason. He likely won’t have a career in the NFL as a quarterback and his shoulder injuries may further limit his arm strength. Miller has been an impact player at Ohio State and that could continue if he shifts to running back or perhaps wide receiver. The Buckeyes running game should be strong with the return of Ezekial Elliott. Elliott was dominant in wins against both Alabama and Oregon. The Ohio State offense should continue to be successful despite the losses at receiver and tight end thanks to their strong rushing attack. The Buckeyes return key pieces at linebacker and in the secondary. However, they do lose two starters along the defensive front. Joey Bosa returns and he is an absolute stud. He also looks like he belongs in the mob, but that is neither here nor there. Urban Meyer is one of the top coaches in the country and Ohio State will likely be the favorite to win the national title next year. There are a lot of reasons to believe they will be in the hunt. A team that boasts such a collection of proven production and talent is hard to go against. However, with all teams, there are reasons for concern. One of the biggest advantages Ohio State has enjoyed in recent years is the relative weakness of the Big 10. However, the arrival of Jim Harbaugh to Michigan will now make things more interesting going forward. Furthermore, Penn State returns Christian Hackenberg and will be poised to play the dark horse in the Big 10. Michigan State will be stiff competition once again. Still, the schedule is favorable and the non-conference portion is soft. The Buckeyes take on Virginia Tech on the road in their first game of the year, but afterwards battle Hawaii, Northern Illinois, and Western Michigan. Northern Illinois is a very good team for their respective conference, but will be no match for Ohio State. Perhaps the biggest obstacles facing the Buckeyes will be internal distractions and possible dysfunction. Barrett broke records set by Drew Brees, Miller has long been the face of the Buckeye program, and Jones became a star overnight in wins in the Buckeyes biggest games of the year. Yet, only one of these players can be the starting quarterback. The team will likely be at least somewhat divided as to which player they want to lead the team. If that player struggles, there could be an internal power struggle. The only reason that such a situation did not occur this season is because Miller and Barrett were out with significant injuries. 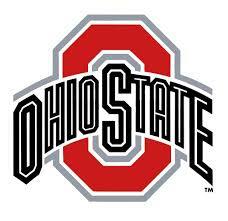 If Barrett had been healthy and able to play against Oregon, whom would the players have wanted to lead them? The last obstacle facing the Buckeyes will be psychological. They were able to sneak into the playoff this year and were able to play the underdog. The team had little pressure on them due to losses at quarterback and the perception that Alabama and Oregon would crush their opponents and waltz into the title game. This season, Ohio State will be ranked atop the preseason rankings and will be in the difficult position of defending their crown. The likelihood they lose at least once along the way is highly likely. The odds of any team finishing the season undefeated are slim, no matter how talented. I still expect Ohio State to make it to the College Football Playoff as the beneficiary of their schedule and their current recruiting advantage over the rest of their conference. Ohio State’s program is currently atop the college football world. They return most of the key pieces from last season and their losses at wide receiver are of little concern. Ohio State must be consistent in their approach and find a role for Braxton Miller to limit the potential strife between the quarterbacks. It is a nice problem to have as most teams only have one quarterback that can be relied upon for that type of quality production.